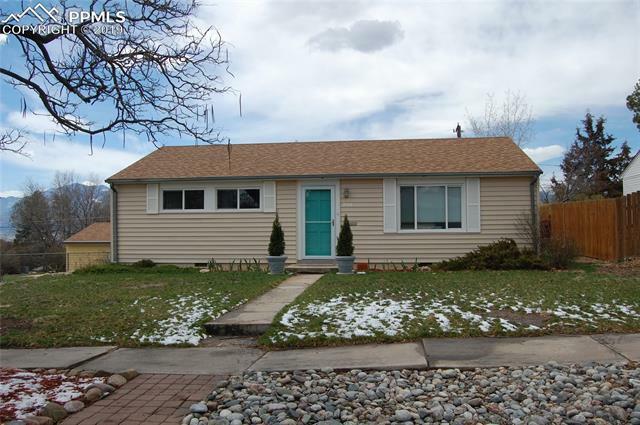 Lovely rancher in a great area close to everything Colorado Springs has to offer. The bright living room has an attached dining area with beautiful hardwood floors. The recently redone kitchen has newer cabinetry and countertops, as well as a stainless 5 burner gas stove. There is a laundry/mud room behind the kitchen that accesses the wonderful backyard that has an awesome covered patio, beautiful views and gardening area. The 3 bedrooms all have hardwood floors.